Our food grade magnesium chloride flakes can be used in clay baths or salt baths. Since the body has a difficult time adsorbing magnesium through the digestive tract, using transdermal magnesium chloride therapy is an excellent way to deliver magnesium directly to the tissues that need it. Simply add to your favorite bath, and soak for 20-30 minutes. 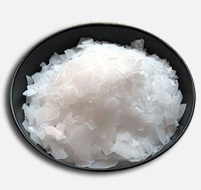 Magnesium chloride can be used with other salts, including epsom and sea salt baths. With our ultrapure flakes, interested individuals can easily make magnesium oil for topical use and save quite a bit of money over purchasing magnesium oil through retail outlets. Simply use a squeeze bottle, fill it 3/4 of the way with magnesium flakes, add pure water, and shake. We recommend only using naturally derived, food grade magnesium chloride for therapy purposes.